Ikea is really stepping up! in black, is gonna be on it too! It's perfect for my son's bathroom. 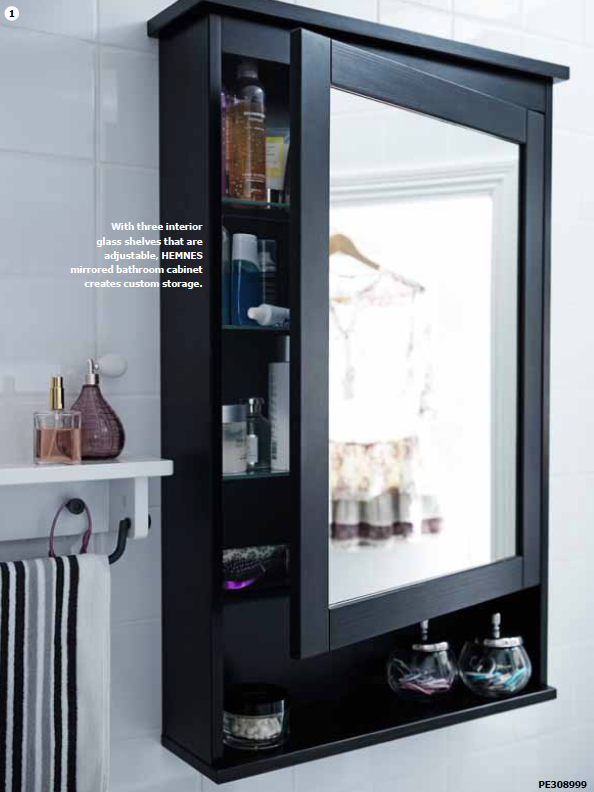 This bathroom cabinet is a great utilitarian piece that still looks stylish. 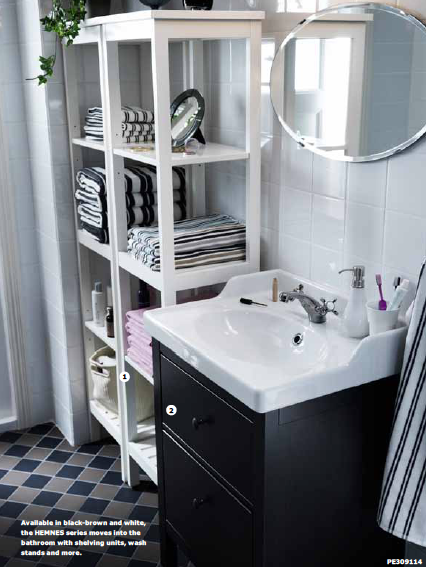 Ikea is also a great place to get inexpensive bathroom furniture. as well as this fabulous fabric covered ceiling light fixture that I am in love with! And check out this faucet! Yep Ikea, you are doing good. ending maze I have to go through to get whats on my list. Not to mention those darn cinnamon rolls that get me every time! So, what are some of your favorite finds from Ikea? OMG..seriously?!! 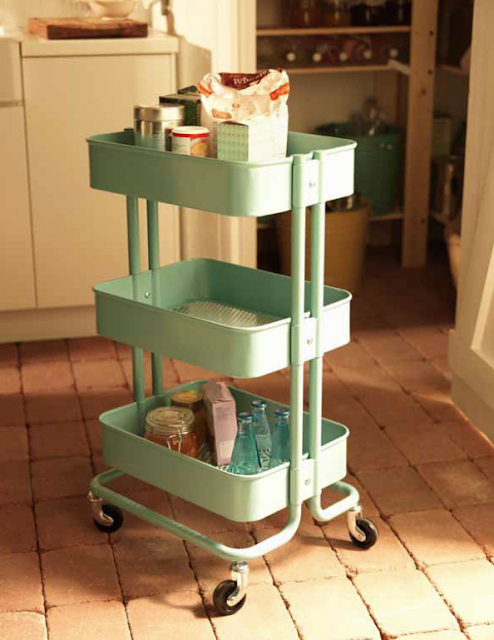 I WILL have that cart in my new kitchen we are currently doing. And I just bought the big IKEA farm sink and butcher block countertops so I am loving that new faucet. Now I need to figure out a faucet to use until that one is available. Does it have a sprayer option? Thanks for the peek! I am so excited to see some vintage inspired things at Ikea. That light fixture and green cart is definitely on my "want" list. I see a trip to Ikea is in my near future. That kitchen cart is TO DIE FOR!!!!! Awesome new products for sure! I love their fabric and bedding.My daughter bought a sofa and they love it though it smells so bad they have to air out their apartment often. Ikea is just pure bliss. Where are you seeing all these goodies? I can't find them online either. Please post the link if possible. Very cool!!! I am loving those awesome new things they are getting!! LOVE!!! I am loving the tap/faucet. I hope the next Australian catalogue has those!!! Thanks for the tip, im off to have a look. So jealous! Closest IKEA is almost 3 hours away. Was amazed first one I visited and understand the maze to find your product. Great finds. I hope the card is coming to Ikea in the Netherlands too. I can use that card for my painting supplies. It would be perfect and i love the color. I hope so. I love the table too, but i have no room for that. I live very small. 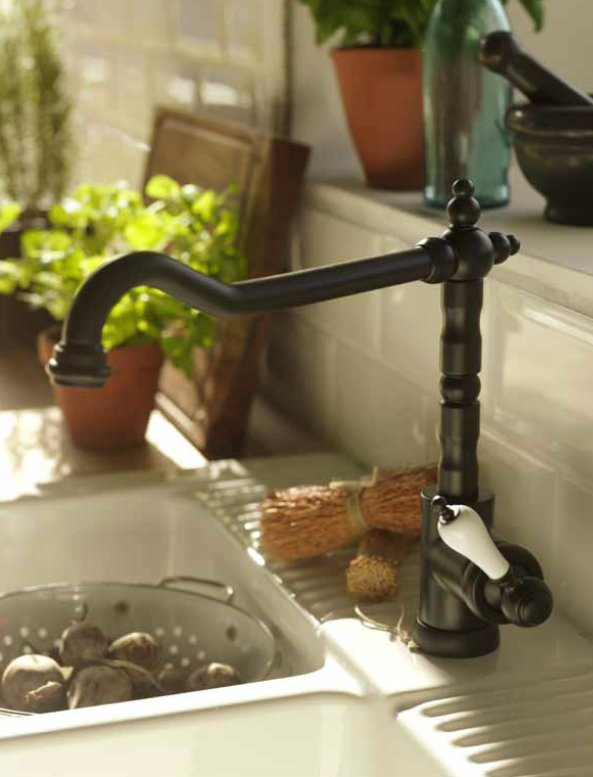 I love Ikea...I've been eyeing their kitchen faucets and this one is now one of my choices. I love that lamp! I didn't leave a comment yesterday but I read alot of your comments and actually removed the music from blog too...which isn't really music but the sound of the ocean and then rain. Many are sad that I removed so I may put it back on and just have the mixpod at the very top so it is easy to mute. Your post,and the comments, helped me to understand why having music on our blogs is a nuisance. So thank you. 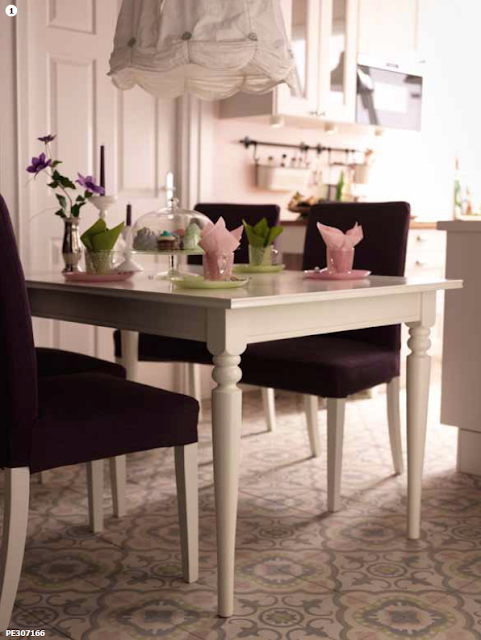 I wonder if that fab-o rug under the dining table is from Ikea as well? On our way back from DC yesterday my son and I stopped at Ikea. Three hours later (much to my poor 18 yo son's dismay) we finally left. That store is wonderful! 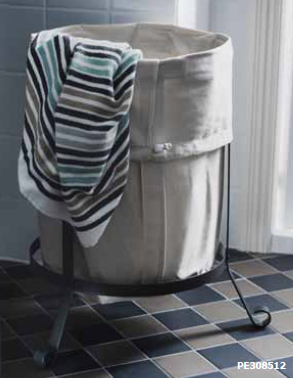 I got the magnetic board, (http://tinyurl.com/8x7ur46), a soap dish, Bygel rail with hooks (http://tinyurl.com/3gtqbfj), a shower curtain and liner, serving bowl (http://tinyurl.com/7h8uno5)with tongs (http://tinyurl.com/73d4np7) and two dozen cinnamon rolls! Does anyone know the name of the faucet? DYING to purchase it! Woah! For as long as I can remember, this is the very first time I’ve seen a faucet like that! :) IKEA never disappoints their consumers, I suppose. But looks can be deceiving, though. Just kidding. :) You should also check your pipes to see if they’re in functioning condition, okay?